I feel a little guilty posting this recipe since it really consists of just combining two items -- gochujang and samjang (Korean chile and soy bean pastes). But really, the beauty of this simple recipe is that both the chile and soy bean pastes are already seasoned so you don't need to add anything extra. 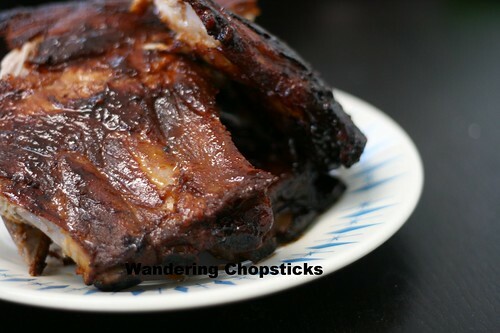 I like to bake my ribs for tender, fall-off-the-bones ribs, but if you want to grill them, you can easily start them off in the oven first. 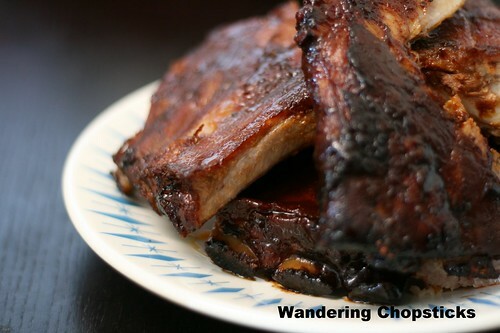 This recipe is perfect for when you're in the mood for some Korean barbecue or for flavorful ribs, but don't want to mess with fussy marinades. 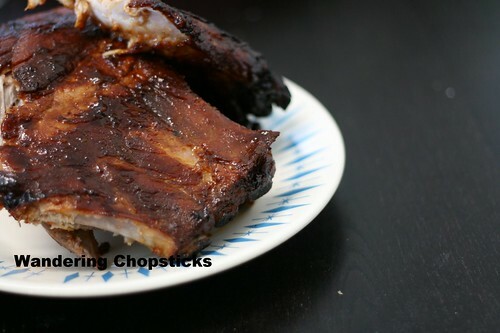 Evenly sprinkle 1 tsp salt all over the ribs. Mix together the Korean soy bean and chile pastes. 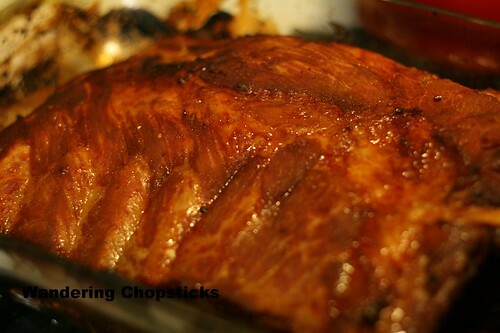 Then rub the mixture all over the ribs, about two-thirds on the meaty side. 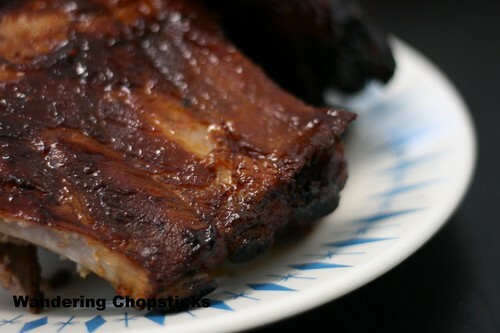 Bake the ribs, meaty side-down, at 325 degrees for 45 minutes. Then flip over and bake for another 20 minutes meat side-up. 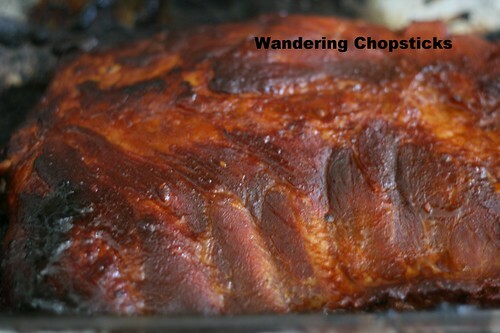 Let the ribs rest about 10 minutes to redistribute the juices before cutting. Resulting in a crispy exterior and juicy interior. Serve with rice and salad if you wish. 2 years ago today, Station Fire over downtown Los Angeles. 3 years ago today, Top Thai Restaurant - San Dimas. 4 years ago today, Japanese cream puffs at Beard Papa's - San Gabriel (Closed).